Dear friends, you are kindly invited to join the upcoming teaching by Ven. Pema Rinpoche (Khen Rinpoche Pema Choephel) on Nyingthig short Ngondro “The Excellent Path to Enlightenment” by Jamyang Khyentse Wangpo (1820-1892). Date: the event will take place on 25/8/18 (Saturday), from 5 pm to 7 pm, and on 26/8/18 (Sunday) from 2 pm to 4 pm. Ven. Pema Rinpoche is a highly qualified Buddhist scholar and senior professor of the Ngagyur Nyingma Institute in South India. Khen Rinpoche received many profound teachings and transmissions from His Holiness Penor Rinpoche, His Holiness Dilgo Khyentse Rinpoche, Nyoshul Khen Rinpoche and many other great Tibetan masters. With the blessings of His Holiness Penor Rinpoche, Khen Rinpoche has been teaching and spreading Buddhism in many countries. These include India, Bhutan, Nepal, Hong Kong, Taiwan, Singapore, Philippines, Cambodia, Malaysia, and European Countries such as Greece, France, England, Germany, Bulgaria and Austria. He is the founder and the spiritual director of Palyul Dharma Center Europe, which includes the Palyul Dharma Center in Greece, Palyul Center UK, German Palyul Center and Palyul Center Bulgaria. Palyul Center UK is pleased to annouce that Ven. 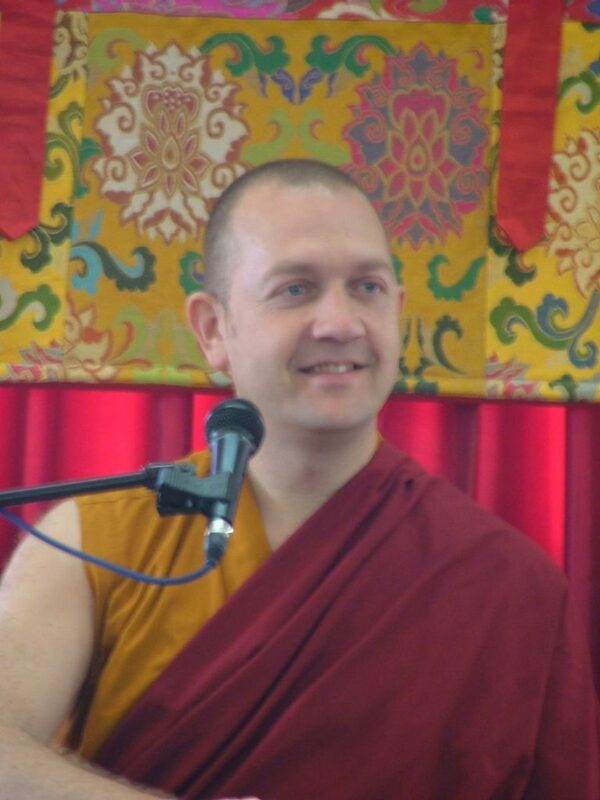 Sean Price will be teaching on mindfullness and meditation using Mipham Rinpoche Sadhana of Buddha Treasury of Blessing on Sunday 12th August 2018 from 2pm to 5pm at the Palyul Centre UK, 3 Rotherfield Street, London N1 3EE. Ven. Sean Price became a monk in the Tibetan Buddhist tradition in 1994 and has since studied at various monastic institutes in India and Nepal; he has resided at Shechen Monastery, Nepal, since 1999. In particular he received many teachings, empowerments and instructions from Kyabje Penor Rinpoche and studied extensively with Khenchen Pema Sherab, Khenchen Namdrol, and other Palyul Khenpos. He has translated numerous Buddhist texts and has worked at the Tsadra Foundation as Director of Tibetan Publications since 2009. Suggested donation is 12 GBP. We welcome everyone, and if you have non Buddhist friends who are interested in meditation, please feel free to invite them to attend as well. Fundraiser party for Palyul centre, 16 June 2018! Posted in Other events	| Comments Off on Fundraiser party for Palyul centre, 16 June 2018! Khenchen Pema Sherab Rinpoche giving Oral transmissions on Saga Dawa – 29 May 2018! you are kindly invited to join the upcoming event at Palyul Centre UK on the auspicious Saga Dawa Full moon day! Khenchen Pema Sherab Rinpoche – the senior-most Khenpo in the Nyingma lineage of Tibetan Buddhism – will give Oral transmissions to important sadhanas on Tuesday, 29 May 2018, from 7:00pm-9:00 pm! Address: 3 Rotherfield Street, Islington, London N1 3EE. Posted in Other events	| Comments Off on Khenchen Pema Sherab Rinpoche giving Oral transmissions on Saga Dawa – 29 May 2018! we are happy to announce that Kyabje Khenchen Pema Sherab Rinpoche will visit London in May 2018. He will bestow Empowerments from the Longchen Nyingtik (18th–22nd May 2018) at Rigpa in London, organized by Palyul Centre UK. 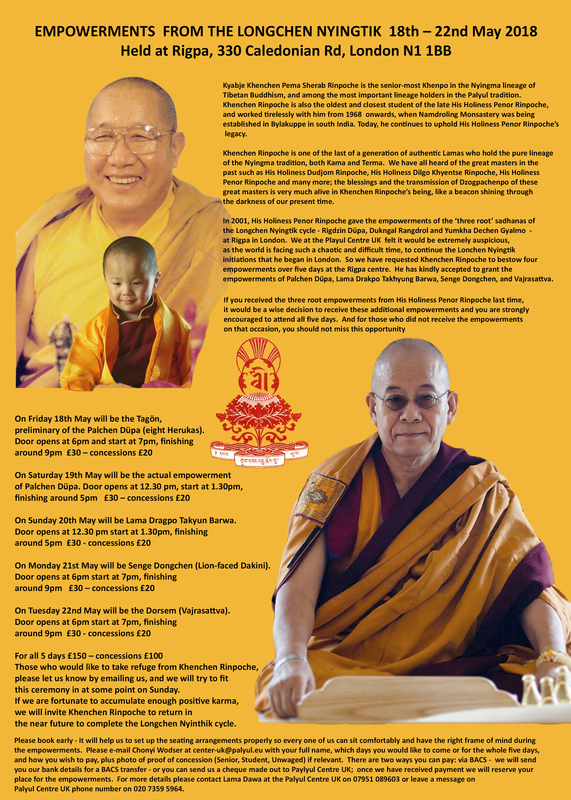 In 2001, His Holiness Penor Rinpoche gave the empowerments of the ‘three root’ sadhanas of the Longchen Nyingtik cycle – Rigdzin Dupa, Dukngal Rangdrol and Yumkha Dechen Gyalmo – at Rigpa in London. 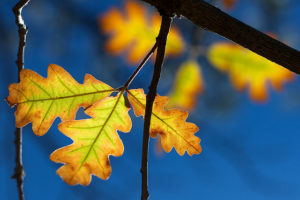 We at the Playul Centre UK felt it would be extremely auspicious, as the world is facing such a chaotic and difficult time, to continue the Lonchen Nyingtik initiations that he began in London. So we have requested Khenchen Rinpoche to bestow four empowerments over five days at the Rigpa centre. He has kindly accepted to grant the empowerments of Palchen Dupa, Lama Drakpo Takhyung Barwa, Senge Dongchen, and Vajrasattva. Those who would like to take refuge from Khenchen Rinpoche, please let us know by emailing us, and we will try to fit this ceremony in at some point on Sunday. If we are fortunate to accumulate enough positive karma, we will invite Khenchen Rinpoche to return in the near future to complete the Longchen Nyinthik cycle. you are kindly invited to join the upcoming Namchoe Short Ngondro oral transmission and teaching with Ven. Pema Rinpoche! The event will take place on 21-st April, Saturday, from 2:30-5:00 pm at Palyul Center UK, 3 Rotherfield Street, Islington, London N1 3EE. Suggested donation: 10 GBP. Ngondro is a collection of practices known as “The Four Foundations.” These practices form the fundamental ground for all Tibetan Buddhist practice and for higher Dzogchen practice. As the foundation of the teachings of the Buddha Dharma, Ngondro consists of contemplation, insight, purification, offering and devotion practices. First are what is known as the outer preliminaries which turn the mind towards the practice through contemplating the preciousness of human birth, impermanence, suffering, how cause and effect (“karma”) work, and so on. Anyone Buddhist or not can practice the outer preliminaries. Second, are the inner preliminaries. This includes Refuge and Bodhicitta (loving-kindness practice), the Mandala Offering, Vajrasattva Purification, and Guru Yoga. Ven. Pema Rinpoche will bestow to the assembly an Oral transmission of the Namchoe Short Ngondro text and will give a teaching about it. you are kindly invited to join the upcoming Medicine Buddha teaching and practice with Acharya Lopon Dawa! The event will take place on 14-th April, Saturday, from 2:30-5:00 pm at Palyul Center UK, 3 Rotherfield Street, Islington, London N1 3EE. Medicine Buddha (Tib. 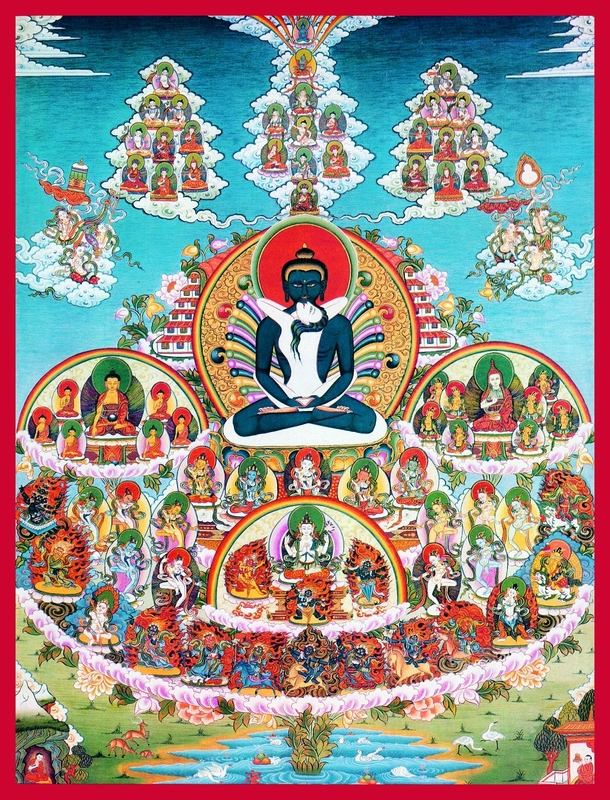 Sangye Menla) is the manifestation of the healing energy of all enlightened beings. He is also known as Bhaisaya Guru and is considered the healing aspect of our primordially pure awareness. Through the practice of Medicine Buddha, we attune to this healing aspect of our own primordial nature, using its innate potential to cure all diseases of body and mind. The practice invokes the blessing of Medicine Buddha to heal diseases, overcome obstacles, and achieve happiness for all sentient beings. 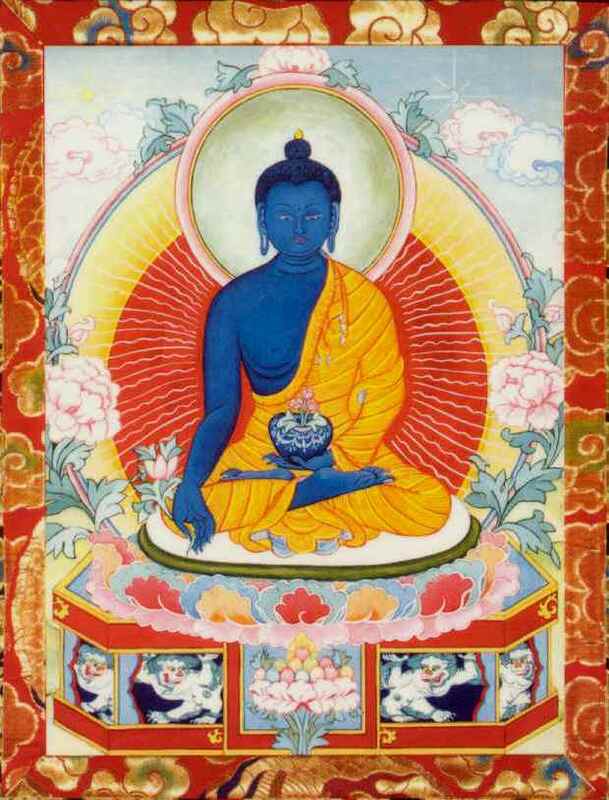 There are many Medicine Buddha based healing practices in Buddhism. Out of these, this particular one, called “The Stream of Lapis Lazuli” is a special one, as it is performed from the higher view of unsurpassed tantras. This sadhana was composed by Karma Chagme Rinpoche (Raga Asya) based on the Namchoe space treasure revelations of terton Mingyur Dorje. This is a unique practice of Nyingma tradition and is one of the most effective ones. 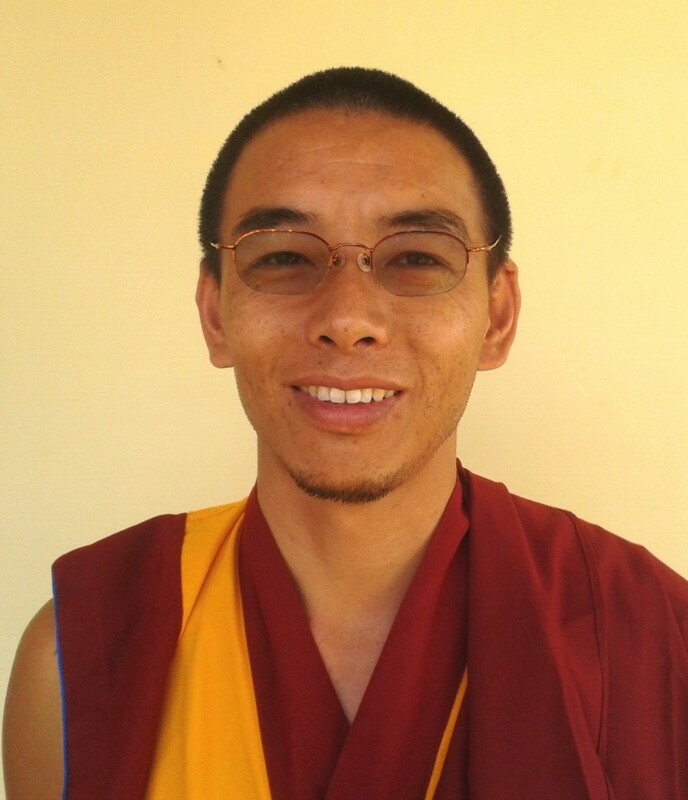 Acharya Lopon Dawa studied for nine years at Ngagyur Nyingma Institute (NNI), the Branch College of Namdroling Monastery. 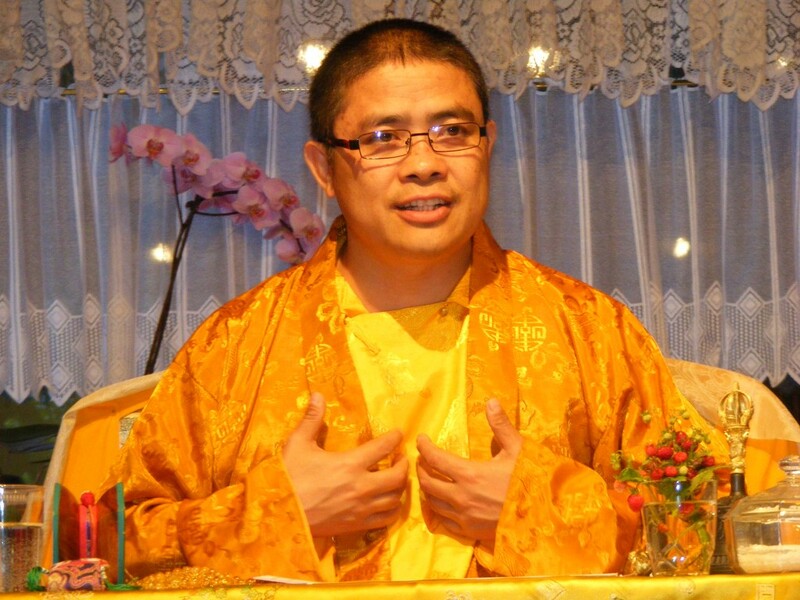 He graduated from NNI and formally became a Lopon (Master of Buddhist Philosophy and Practice) in the year 2002. 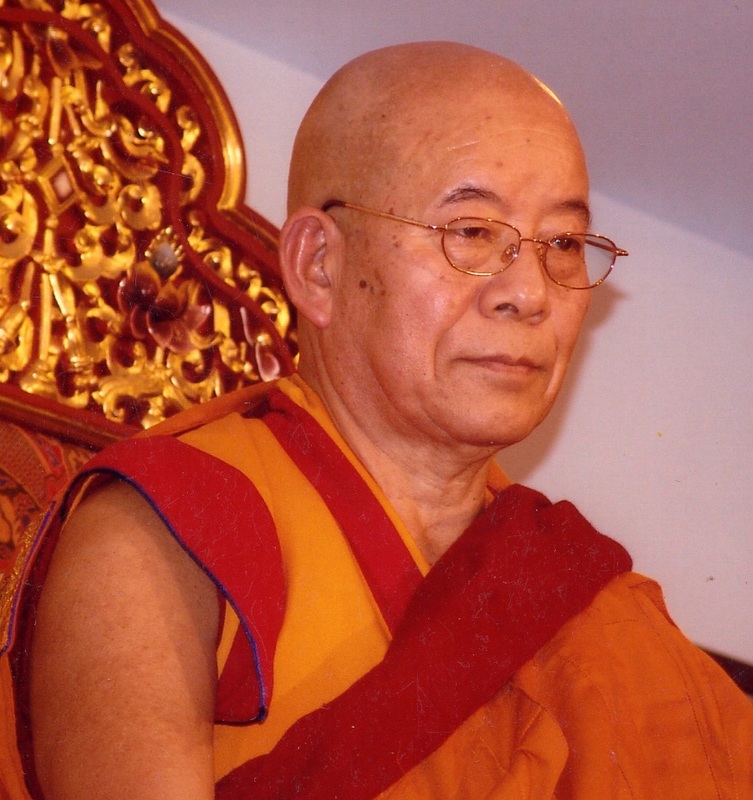 In 2003, His Holiness Penor Rinpoche awarded him the traditional degree of Ngesang Lekshed Zodchang (Treasure Holder of Definitive Secret Mantra Teachings). 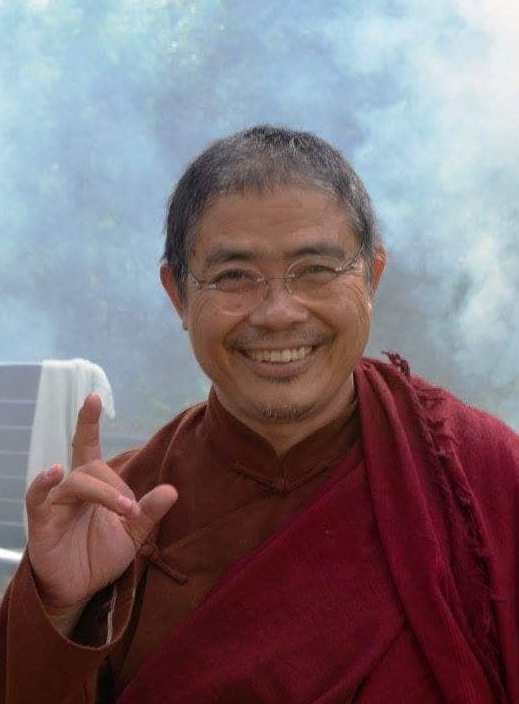 Presently, he is the main assistant of Pema Rinpoche and Resident Lama at the European Palyul retreat center in Zuesch, Germany. Chod practice with Acharya Lopen Dawa! 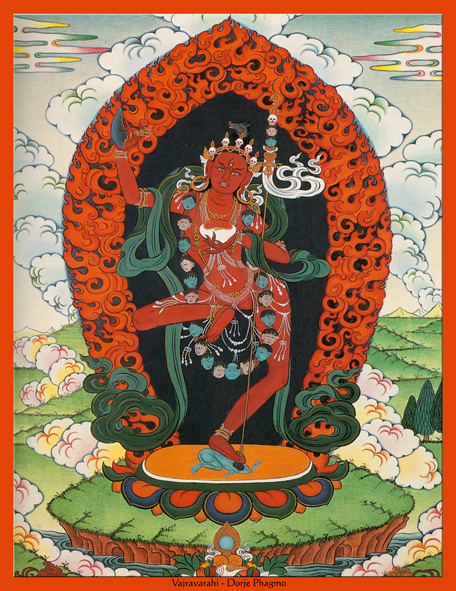 The Chod practice ‘Sound Of Dakini Laughter – Khadro Gayjang’ is part of the root transmission of the Longchen Nyingthig dharma, that Jigmey Lingpa received as mind treasure from Longchenpa. The Chod practice is about to cut through the one’s own ego-clinging, which is the root of all ignorance and deluded perceptions. Losar Tashi Deleg! Happy Tibetan New Year 2018! Posted in Other events	| Comments Off on Losar Tashi Deleg! Happy Tibetan New Year 2018!